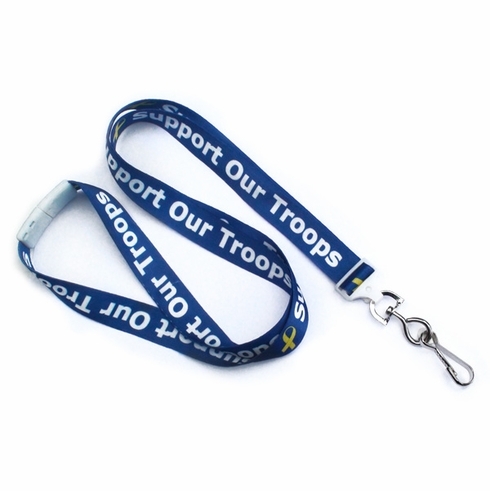 Yellow ribbon 5/8" (16 mm) flat breakaway "support our troops" imprinted lanyard w/ swivel hook. Show spirit with these patriotic lanyards. Imprint is dye sublimated and lanyard material has a silky feel to it. 36" (914 mm) cut length prior to assembly.